Timket Festival is celebrated on the 19th or 20th of January. It is an Ethiopian Orthodox ceremony that celebrates the Baptism of Jesus in the Jordan River. 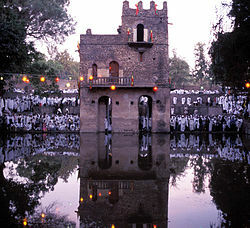 It is most commonly celebrated in Gondar and Lalibela. During the ceremonies of Timket, the Tabot, a model of the Ark of the Covenant, which is present on every Ethiopian altar (somewhat like the Western altar stone), is reverently wrapped in rich cloth and born in procession on the head of the priest. The Tabot, which is otherwise rarely seen by the laity, represents the manifestation of Jesus as the Messiah when he came to the Jordan for baptism. The Divine Liturgy is celebrated near a stream or pool early in the morning (around 2 a.m.). Then the nearby body of water is blessed towards dawn and sprinkled on the participants, some of whom enter the water and immerse themselves, symbolically renewing their baptismal vows. But the festival does not end there; Donald Levine describes a typical celebration of the early 1960s. Mercato in #AddisAbaba is the largest open air market in #Africa, covering several square miles and employing an estimated 13,000 people in 7,100 business entities. The primary merchandise passing through the #Mercato is locally-grown agricultural products — most notably coffee. The #AddisMercato was instituted by segregationist policies of the Italian occupational government. They restricted the historic St. George Mercato to Europeans, causing the mostly Arab tradesmen to relocate a half mile to the west. Over time, local shopkeepers displaced the Arab merchants and, since the 1960s, the Addis Mercato has had a mostly local flavour. 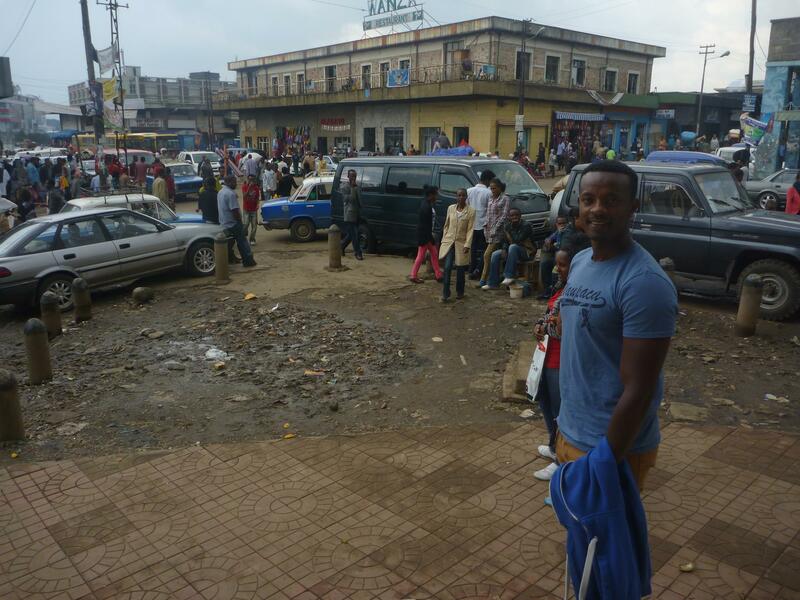 The Addis Mercato has over 120 stores and one massive shopping center with 75 stores.